Click on the link below to go to the sale items. I was first licensed in 1964 at the age of 14. Back then, the Novice ticket was only valid for 1 year and not renewable. After finishing high school and serving on active duty, I once again received my Novice 10 years later. After college and grad school, I upgraded to Extra. I’m not a big fan of CW, but studied hard and passed the 20 WPM test. I also love building ham gear, and have built the Elecraft K1, Elecraft K2, Elecraft K3, and Elecraft KX-3 (all with the same serial number -1964! ), and the ATS-3 and 4 rigs that Steve, KD1JV has made available as kits. I also operate and use vintage Collins equipment including the KWM-2, 75S-3, 30L-1, and an HF-380 (a two year project!). I am a member of the Royal Naval Amateur Radio Society (RNARS) – member #3889. I volunteer on the USS Cassin Young (DD 793) WW2DD, and the Lightship Nantucket (LV-112) W1NLS. Both ships are in Boston and we bring them on the air for Museum Ships Weekend and Lighthouse/Lightship Weekend at least yearly. My callsign reflects the 33 years I spent on active and reserve duty in the U.S. Navy. I enlisted in 1969, and retired aboard the U.S.S. Constitution as a Commander in 2002. While enlisted, my rate was Data Processing Technician (DP). I was an DP1 (E-6) when I received a direct commission as a Naval Intelligence officer in 1978. While in the U.S. Navy I worked with the finest group of dedicated, hard working, brave, selfless, and patriotic people one could ever wish for as friends! I am also a member of the volunteer crew aboard the USS Cassin Young DD-793 in Charlestown MA. The Cassin Young is a WWII/Cold War Fletcher-class destroyer moored across the pier from the USS Constitution. The ship is open to the public and tours are available. We try to activate the ship on Museum Ship’s Weekend every year. 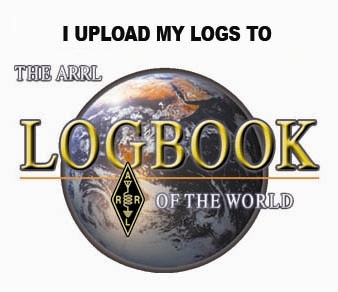 All above QSO’s have been uploaded to the Logbook of the World. For 2018 we were operating in Panama from February 1st through February 14th. All 2018 HP8/W1USN QSL’s have been uploaded to LotW. Cards received direct without SASE’s will go through the Buro. I do not use eQSL.